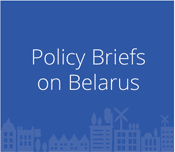 We pay great deal of attention to the promotion of Belarusian culture abroad. While being very distinct from the neighbouring Poland, Russia, Ukraine and the Baltic states its history and culture remain largely unknown to the Western public. To fill the gap in the English-language literature on Belarusian history, we launched the translation of a high-quality book by a known Belarusian historian Uladzimir Arlou, which tells the story of the country from the very beginning until the formation of the Belarusian People’s Republic in 1918. Adopted to the Western audience, with thousands of illustrations, this book is today available for sale in each large book store in Minsk. We are grateful to MATRA and the German Marshall Fund of the United States for the financial support to this project. 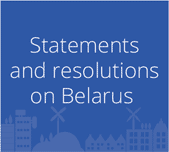 Thanks our efforts, numerous exhibitions of photos and posters by Belarusian artists , as well as literature evenings, movie nights, and concerts took place in different European cities: Brussels, Paris, Warsaw, Toulouse, Berlin, Dresden, Bonn, Granarolo, Trieste. We look forward to organizing more of those in the future, and to further expand our cultural programmes in the coming years.